This is our sample data. First we select the data for all days but only for the first three months and press Alt + F1. That is the best Chart Shortcut you can know. 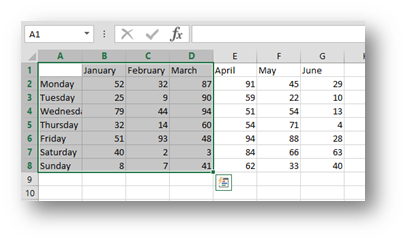 Whereas in Excel 2003 both F11 (which creates the chart on its own sheet then and now) and Alt + F1 did exactly the same, since Excel 2007 Alt + F1 creates the default chart on the same sheet next to your data. So we get this. but you cannot add the May column without adding April. But guess what. You can do this even faster. 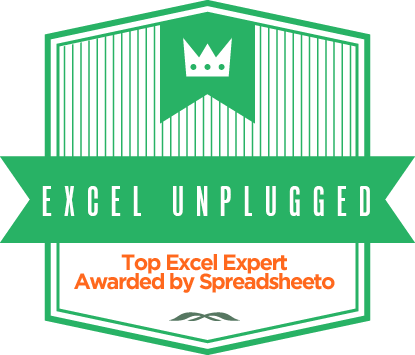 All you have to do is to select the data you want to add and press Ctrl + C (Copy). 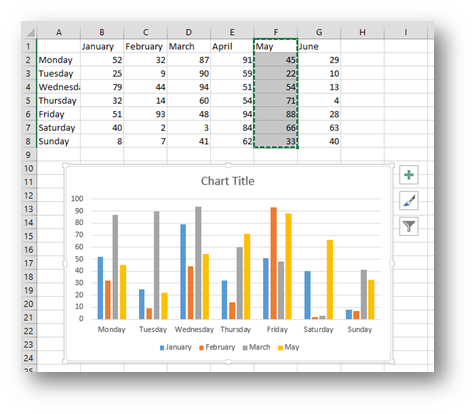 Now select the Chart and simply press Ctrl + V (Paste). And that is it. 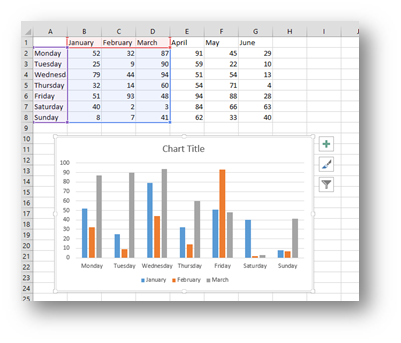 As the subtitle promised, as simple as Copy and Paste J, you simply paste the new data into your Chart. 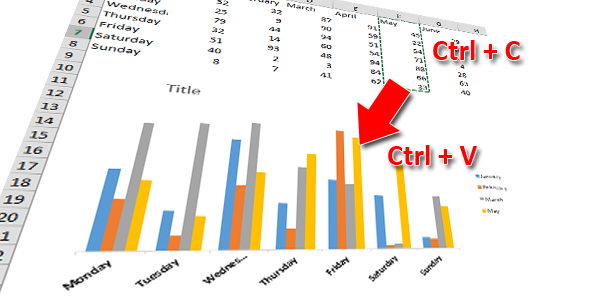 And if you don’t use Ctrl + V, click in a white section outside of the plot area – in the Chart Area, right click and select paste. 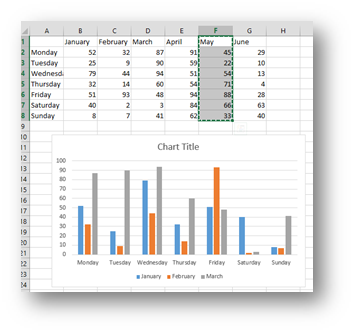 Of course the easiest way is to Format you data as a Table before you create the chart. 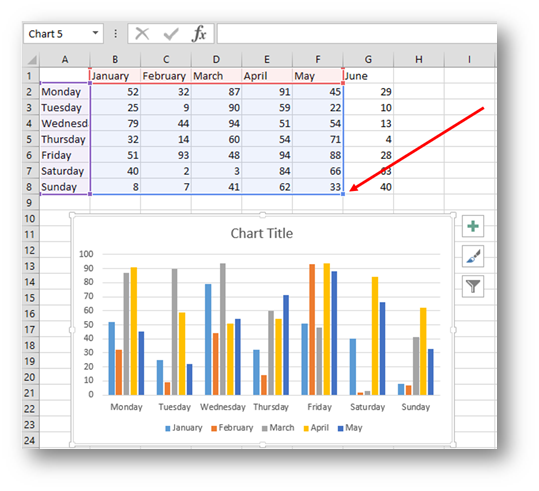 Since the chart is based on a table and a table grows, when you add new data to the table the chart will pick it right up.